Blizzard has made its bones in the RTS genre. Nowadays, the company works on a variety of games, though — from the dungeon-crawling, loot-grabbing madness of Diablo 3, to the team-based, first-person-shooter action of Overwatch, all the way to the MMORPG that ate the rest of the genre, World of Warcraft. But if not for Warcraft: Orcs & Humans back in 1994, it’s hard to imagine Blizzard being in the position it’s in today. 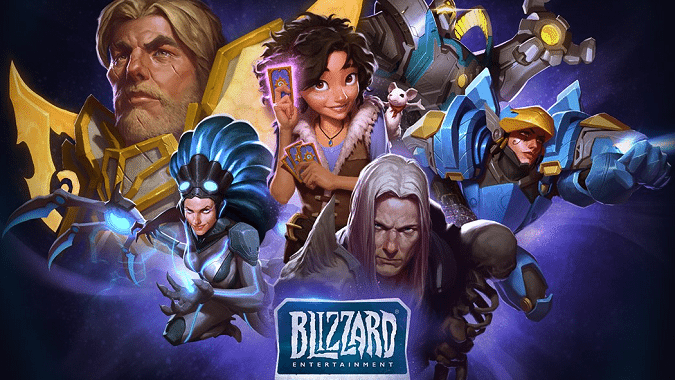 Blizzard Entertainment is seeking an experienced Unity mobile client engineer to work on an unannounced MMO RTS project. The ideal applicant has an unwavering passion for mobile development and solving engineering problems unique to mobile app environments. If you thrive in an environment that values creativity, collaboration, and knowledge sharing, then drop us a line! There are still several other postings for an unannounced project up on the Job Openings page, so we can’t say why this particular one was taken down. Did they already fill the position? Did they decide it revealed too much about the mysterious unannounced project? So far, the only other positions available for the unannounced project(s) are either related to art or engineering. None of them are quite as specific as “mobile MMO RTS,” but some do mention a “robust first-person engine.” Whether those positions refer to the same unannounced project, current plans, outdated plans, or something else is still up in the air, however. Blizzard certainly knows a bit about both MMOs and real-time strategy at this point, and their job listing seems to be more than just vague speculation. I’m leaning toward StarCraft myself, just because StarCraft Remastered was such a success and you could definitely leverage the IP into the mobile space, but let’s face facts — it’s way too early to call. Of course, this is an unannounced project, and one that has had its posting taken down. We also have to remember that Blizzard is willing to cancel a game even after years of development — we all remember Titan — so until they actually announce they’re making a mobile MMO RTS, you probably shouldn’t get your hopes up. Still, one wonders what it could be — a brand new IP? An old favorite like Warcraft or StarCraft? Just how massive, multiplayer, and online will this game actually be? How will such an RTS even play? There’s a lot to consider, but they definitely are working on something if they’re actually hiring so specifically for it. That is, assuming they actually are hiring for it, which is now no longer a certainty since the posting has been taken down. Hopefully, if there is such a project, we’ll hear about it soon with BlizzCon around the corner (but, again, I wouldn’t get your hopes up just yet).